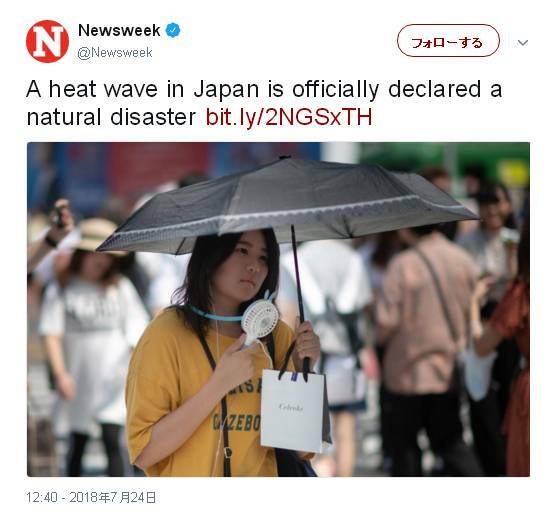 It’s so hot in Japan, the government’s weather agency is calling it a natural disaster. I live in california and Japan is my second home, even if the temperatures sound the same the summers are nothing alike. Japan is much worse and you can just feel the energy being sucked out of you. Heat strokes and passing out are a regular there. Cultural thing. I'm an American but I live in Taiwan. Extremely high humidity here too but most people, especially men are constantly in pants because it's a work culture requirement in most companies. Doesn't make it right but it is the explanation.